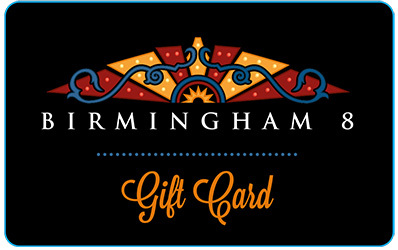 Birmingham Theatre Gift Cards are perfect for any gift giving occasion. They can be used to purchase movie admission tickets and concession items. Birmingham Theatre Gift Cards are available in any denomination and can be purchased and redeemed only at the Birmingham Theatre.